Big data isn't just about sensors, mobile devices, the Internet of things and highly sophisticated decision support applications. Like any significant technology disruption, its impact can be detectable long before it becomes a household word. Organizations are already feeling the foreshocks of big data with their approach to social data. In this webcast talk, Susan Etlinger will discuss how organizations are addressing the challenges of social data—technological, organizational and cultural—and what it can teach us on the road to big data. 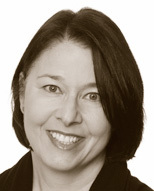 Susan Etlinger is an industry analyst at Altimeter Group, where she works with global companies to develop both social data intelligence strategies that support their business objectives. Susan has a diverse background in marketing and strategic planning within both corporations and agencies. She's a frequent speaker on social media and analytics and has been extensively quoted in outlets including Fast Company, BBC, New York Times and The Wall Street Journal. Find her on Twitter at @setlinger and at her blog, Thought Experiments, at susanetlinger.com.